You are escorted to the beach where the celebrant welcomes and invites you to sit on the traditional wedding chairs. This ceremony is animated by a small local troupe of musicians and dancers. 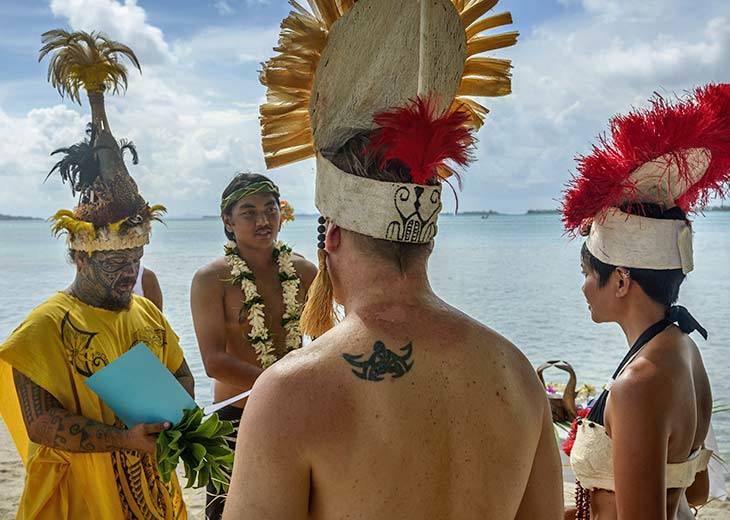 On site, the couple may if they desire wear the traditional Polynesian costume of the tribal leader and the Tahitian Princess for the duration of the ceremony. The ceremony lasts 30 to 35 minutes and 2 glasses of champagne are offered at the end of the ceremony.